While the four “classical” Elements—Earth, Air, Fire and Water—together comprise the physical world, there is a Fifth Element, often referred to as Spirit, that exists within all four of them. The Spirit Element is immaterial, yet present in all things, and does not exist apart from anything else. It is invisible, but essential for connection and balance between all other Elements. Spirit is what is called forth in ritual, through the invoking of the God and Goddess, and of the Elements. It dwells in us as living beings, both when we are aware of it and when we are not. But when we are aware of Spirit, and when we have clear and focused intentions, we can utilize this core, fundamental energy to manifest desired change through magical work. Spirit is unlike the other four Elements in that, since it is part of everything, it does not have any specific ritual or magical correspondences (at least in most traditions). One exception is color—it may be represented by the color white, as white is comprised of all colors combined. Spirit does not have an associated gender, energy type, season, or cardinal direction. 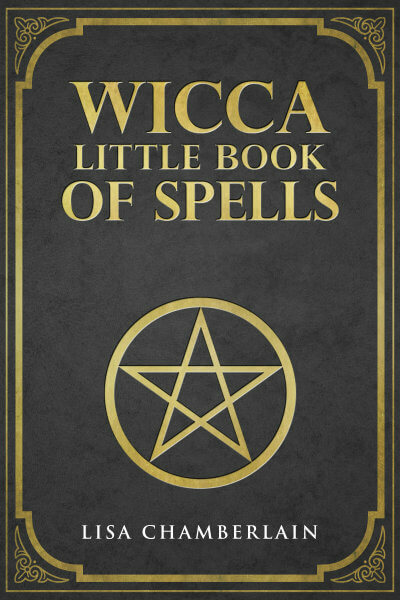 It is associated with the entire Wheel of the Year, and all magical tools. Spirit is really the Element of divine intelligence, which needs no specific symbols to be recognized. 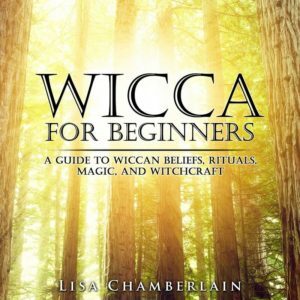 However, when discussing the Wiccan Elements, the pentacle is often mentioned, since the star has five points—one for each Element—and is surrounded by a circle, which can symbolize the way in which Spirit holds all of creation together. In ancient Greece, where the Western concept of the Elements originates, it became obvious to Aristotle and others that something was missing from the classical set of physical substances—Earth, Air, Fire and Water. After all, the Greeks were not strict materialists—they recognized a divine presence and worshipped many individual deities, so they knew that there was more to the Universe than meets the eye. The word “Aether” was applied to what the Greek philosophers saw as the “upper air,” or the air that the gods breathed in the celestial sphere. It had initially been considered to be part of the Element of Air, but later it became clear that this energy was an Element in its own right. Today, many Wiccan traditions use the word “Aether” as the name of the Fifth Element. Others, however, refer to the Spirit Element as Akasha, a Sanskrit word translating roughly as “space” or “atmosphere.” This is not meant in our modern sense of “outer space,” but rather an absence of physical form, an energy that is present in all things but is not physical itself. Akasha is seen as the “original” Element, from which all creation came. This Eastern concept is not exactly identical to the Western concept of “spirit,” but the similarities were sufficient for later spiritual and religious traditions to adopt “Akasha” into their terminologies. No matter which term is used, the Element of Spirit—the Fifth Element—can be elusive to grasp, even though it is within and all around us. It can be particularly difficult to keep in our awareness in the busy, noisy modern world we live in. That’s why meditation, prayer, and ritual are treasured practices among spiritual seekers of all kinds. When we get quiet and still, when we come to the altar and observe our sacred rituals, we can more easily get back in touch with this all-encompassing Element—an energy that is so intangible and mysterious, it’s no wonder that it has so many different names.